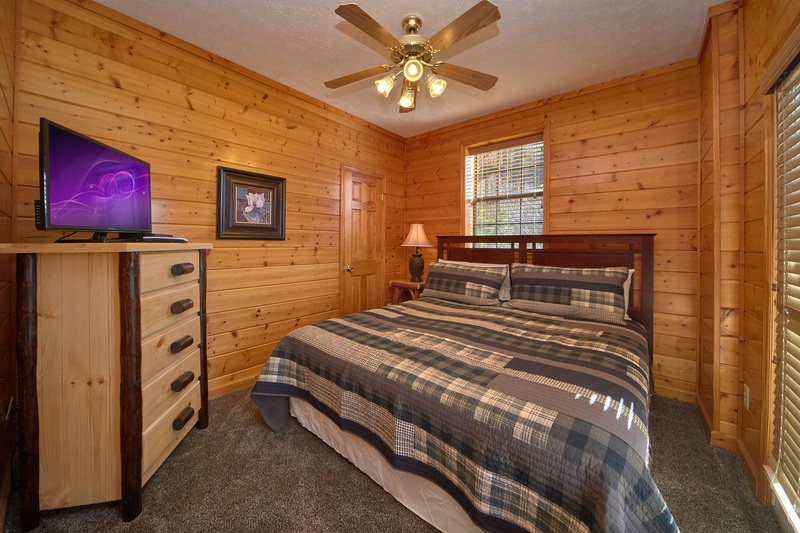 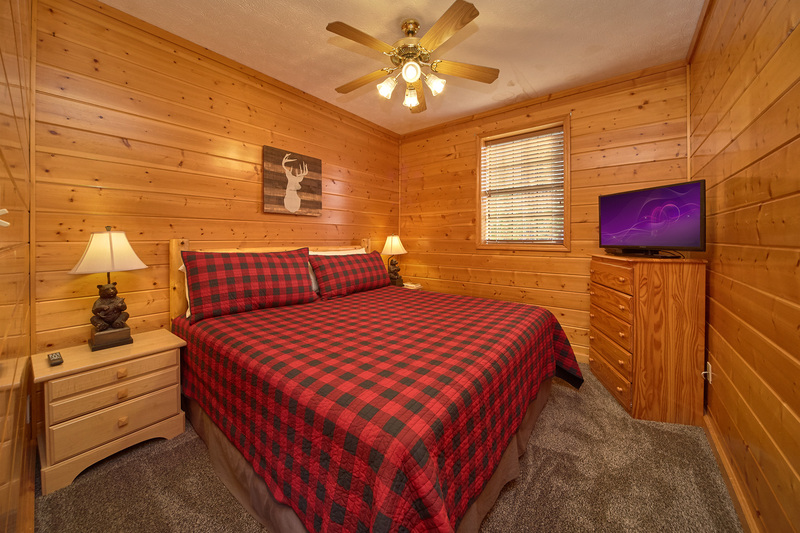 This large cabin has 7 bedrooms, each with a King bed, as well as 2 sleeper sofas allowing sleeping for up to 18 total guests. 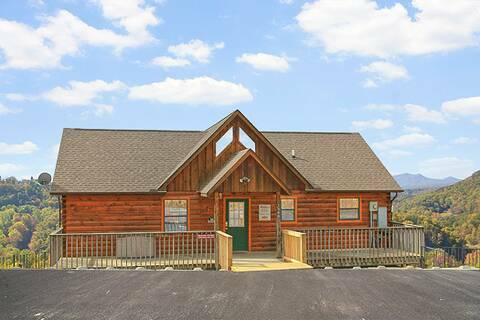 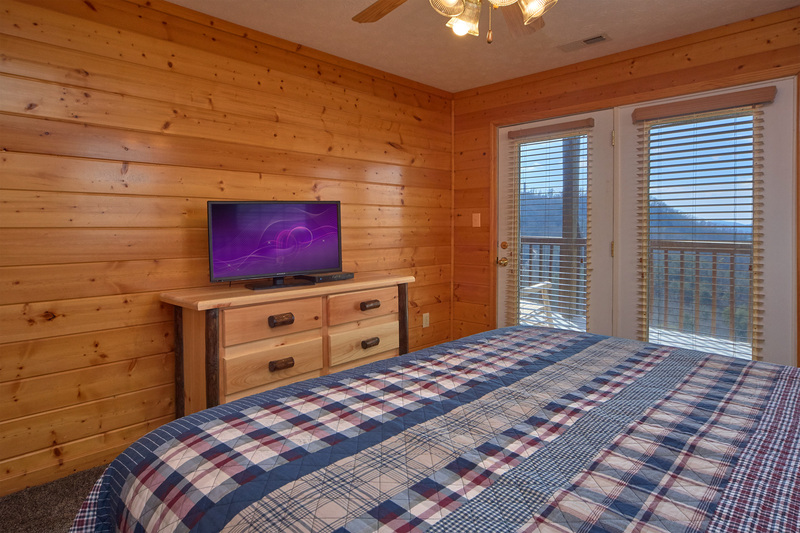 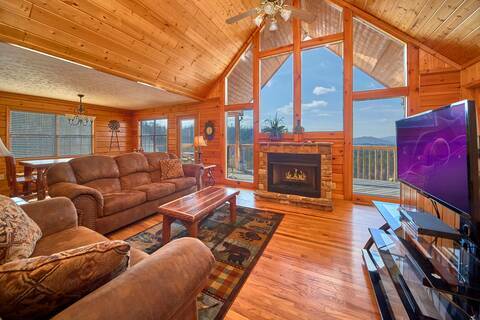 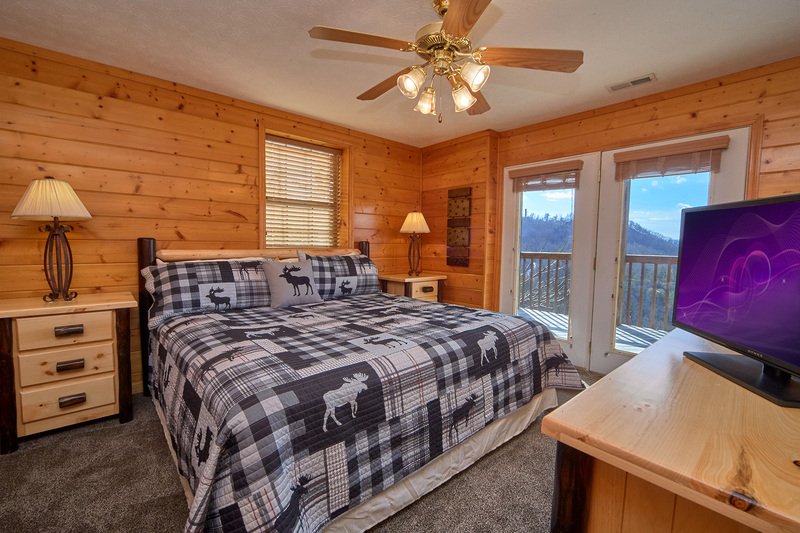 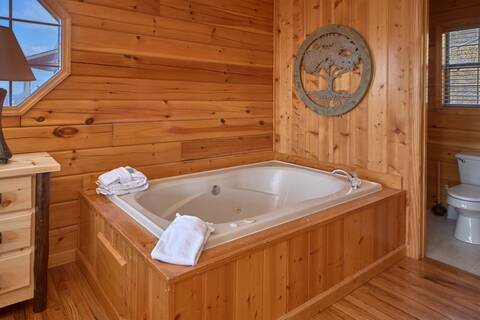 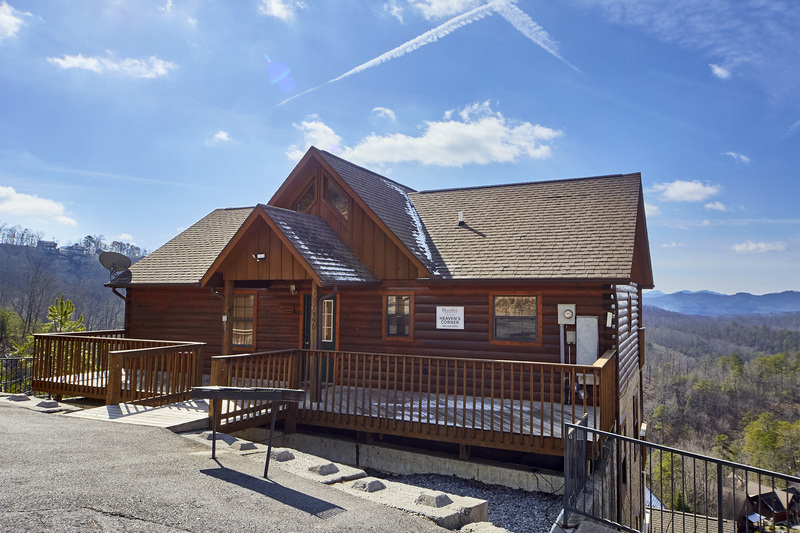 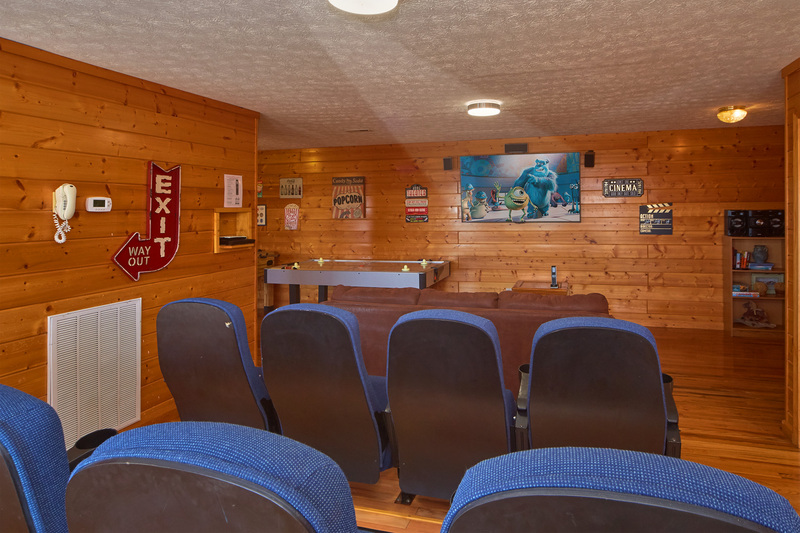 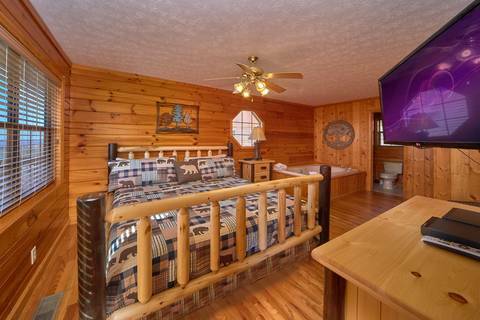 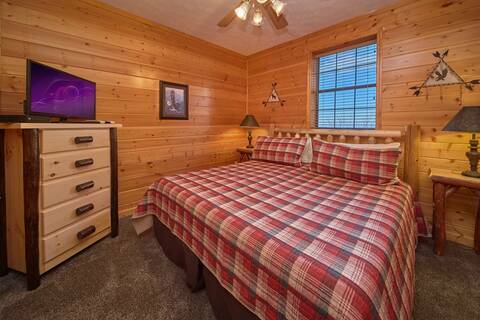 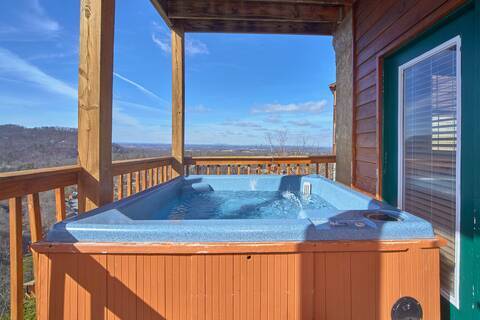 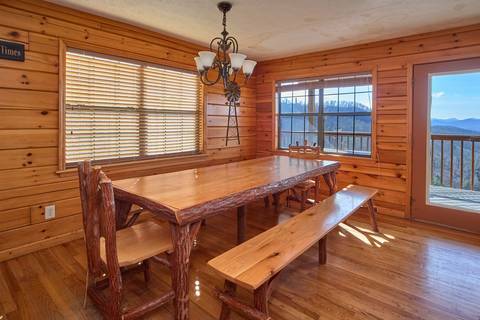 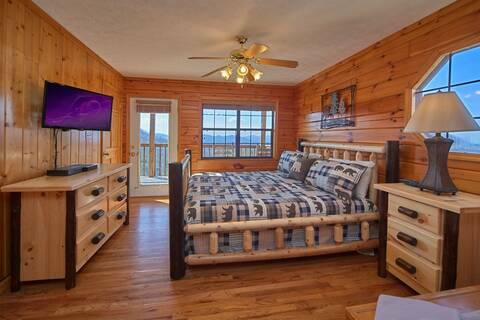 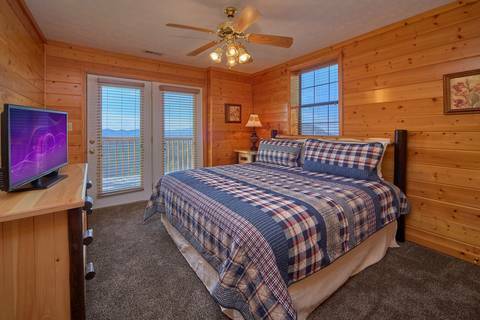 This cabin is best for couples retreats, church events, or large family vacations. 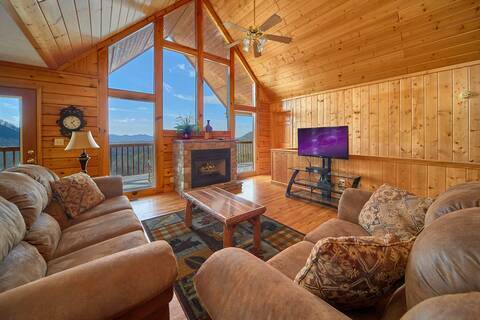 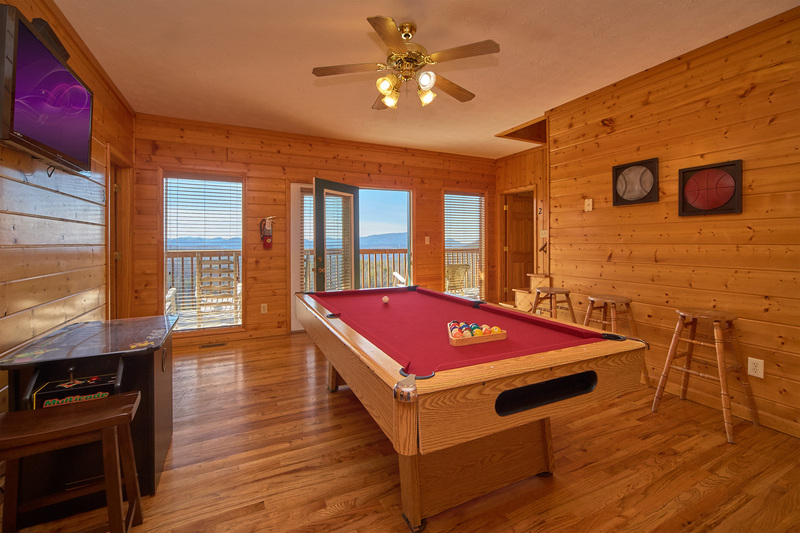 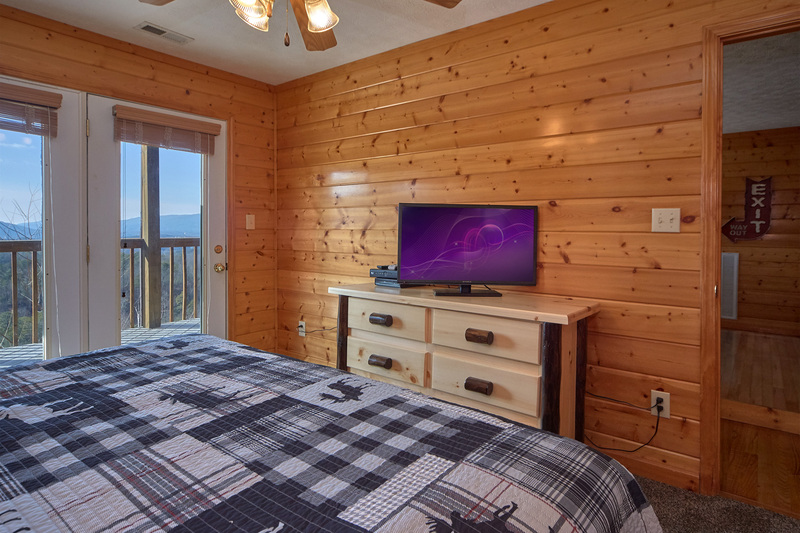 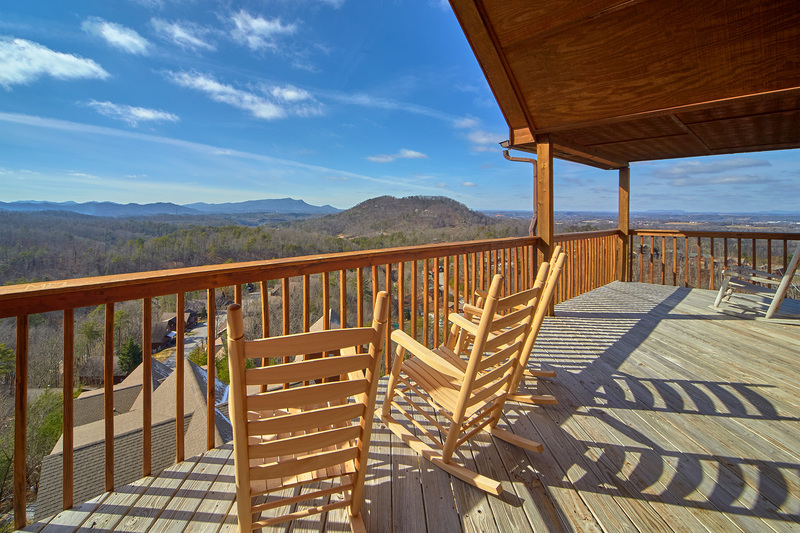 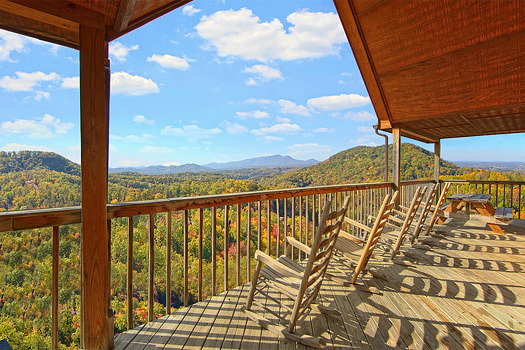 Heaven’s Corner has a deck on each level, so you can step outside at any time to take in the stunning mountain views. 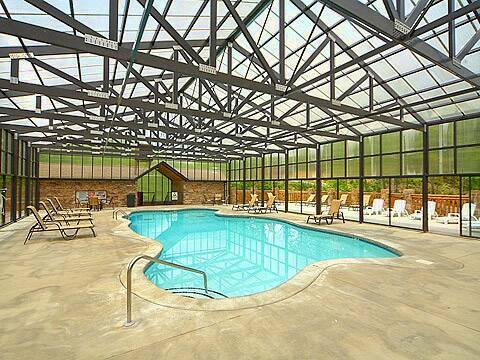 You can also enjoy year round swimming at the near by resort pool. Main Level- When you step into the cabin, the first thing you will recognize are the floor to ceiling windows giving way to the beautiful view. 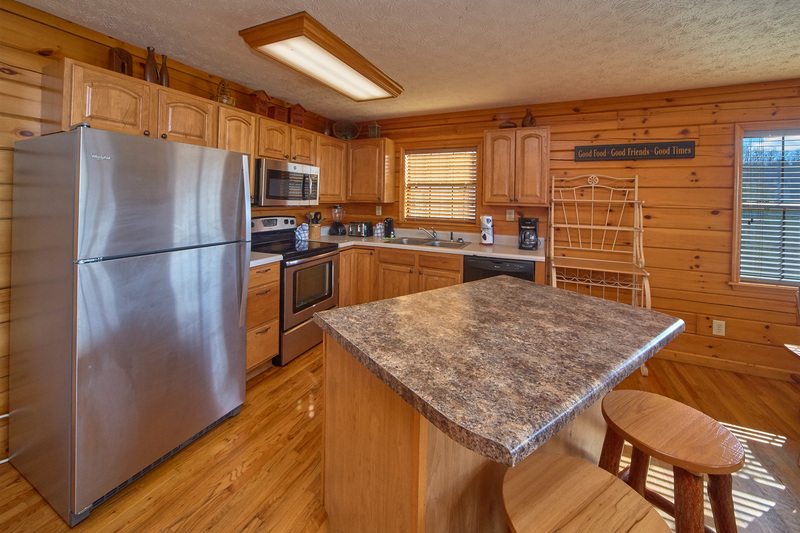 The main level offers a fully equipped kitchen, living room with a sleeper sofa, big screen TV, gas fireplace, and a half bath. 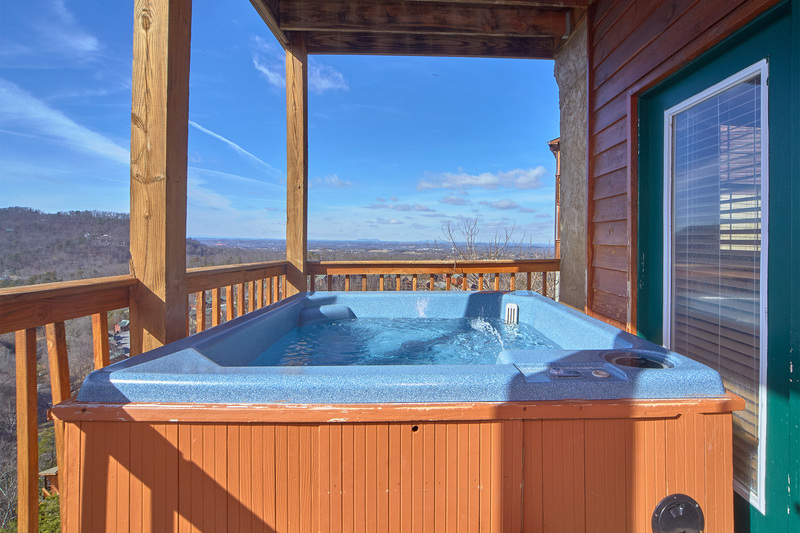 There is also one bedroom located on the main level with a TV, jacuzzi tub as well as a private full bathroom and deck access. 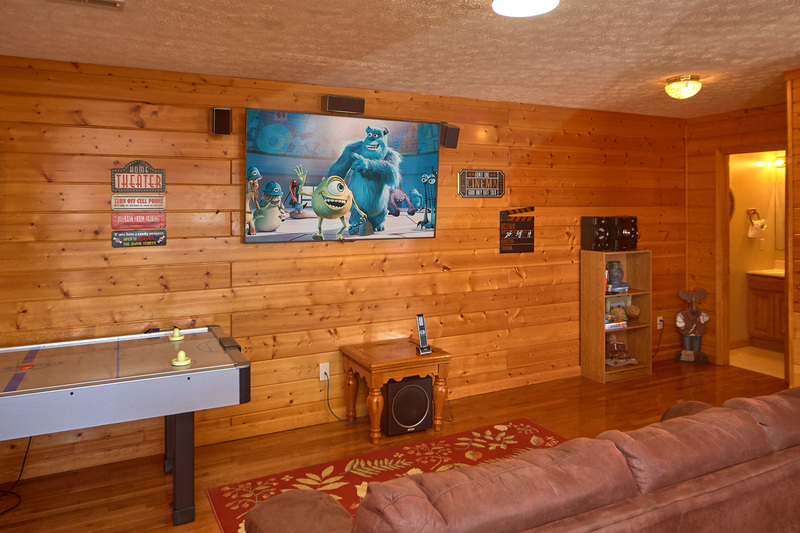 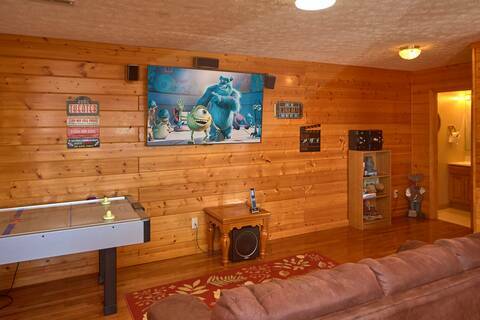 1st level down- on the 1st lower level there are 4 additional bedrooms with TVs, 2 of which have deck access, 2 full bathrooms, arcade game, pool table and an additional TV. 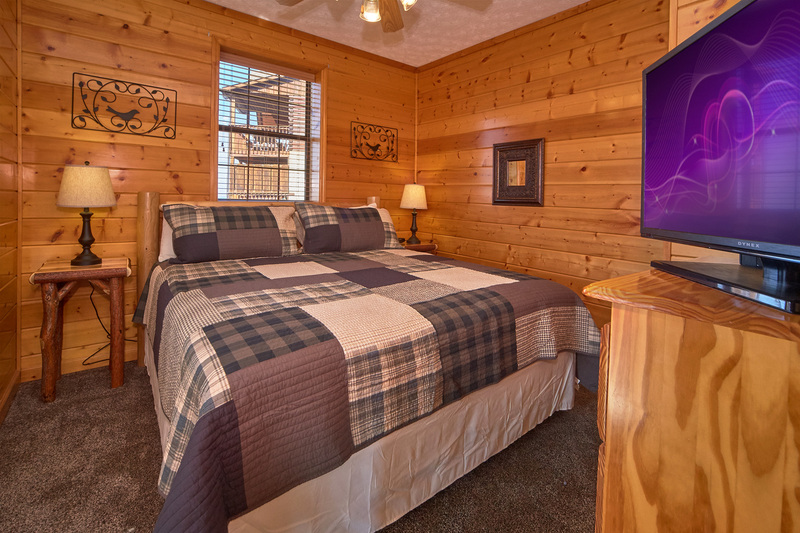 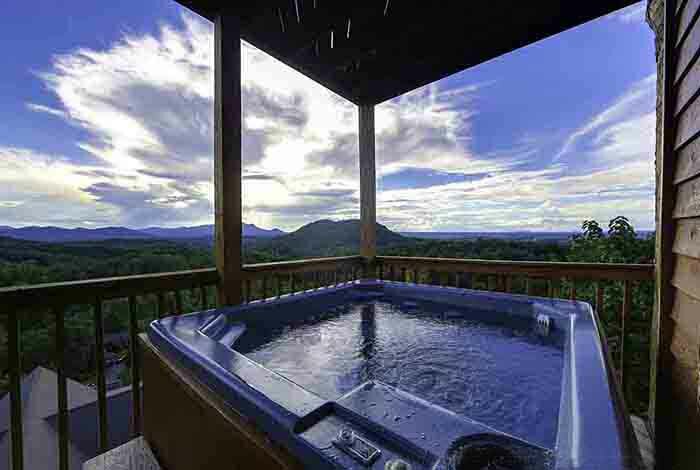 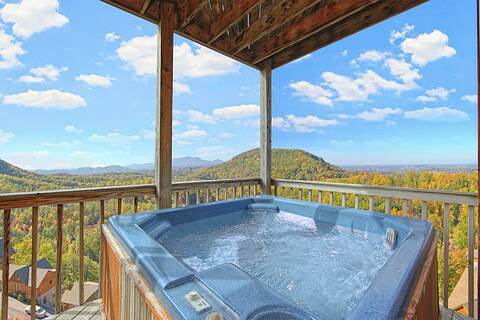 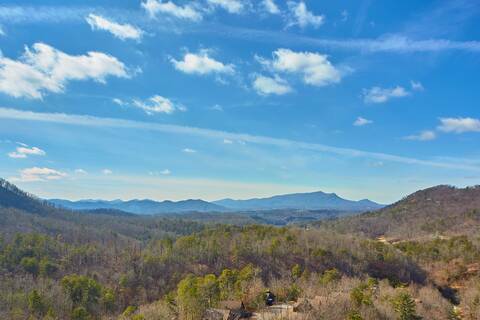 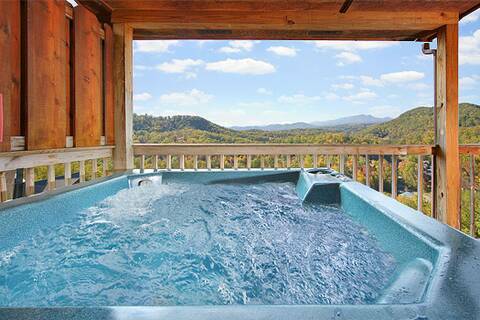 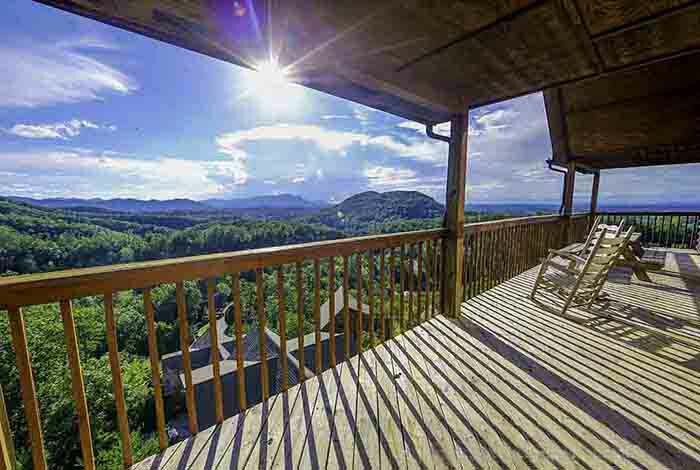 When you’re looking to truly experience the Smoky Mountains, Heaven’s Corner is the place to be. 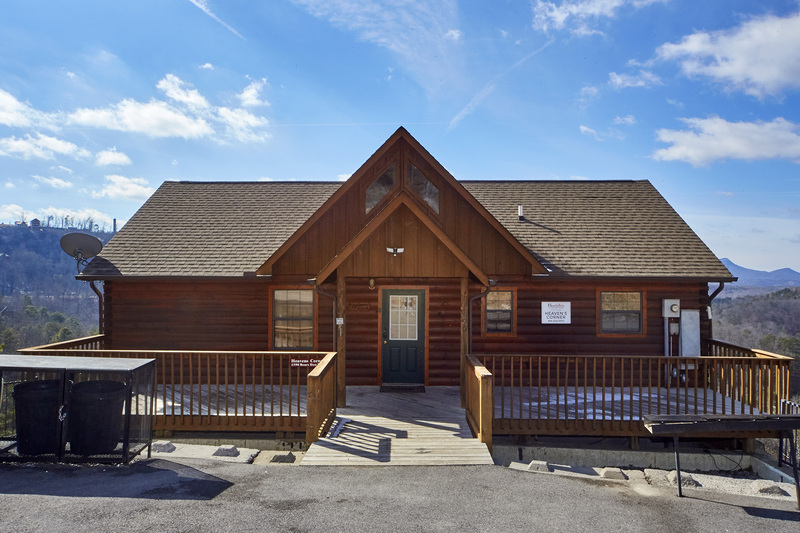 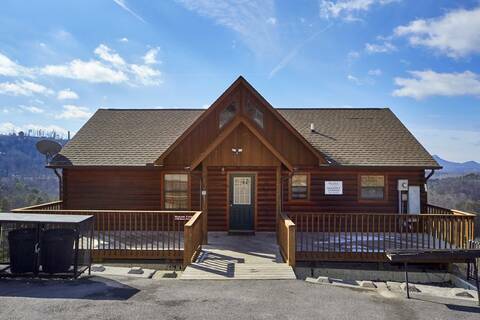 The cabin is located only minutes from down town!